Sell products people want to buy, at the lowest prices possible. Ready for more? You've come to the right place. There are many different—and sometimes contradictory—guides, tactics, hacks, and ideas about how you can boost your Amazon performance. We've combined our industry knowledge, conversations with customers, and years of experience working directly with Amazon to create the following list. 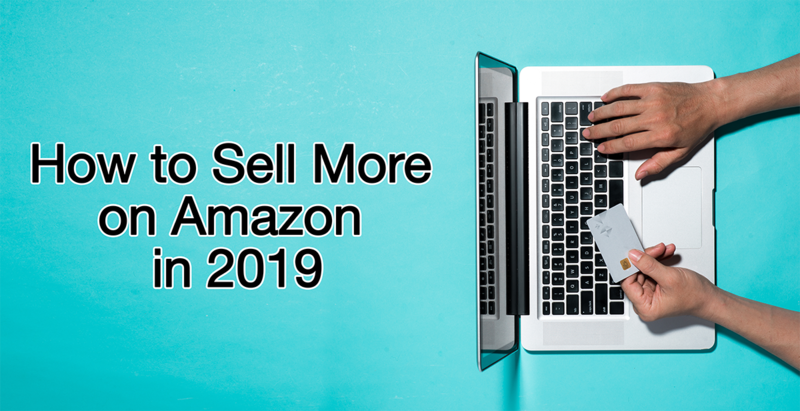 Without further ado, here are 19 surefire ways to increase sales on Amazon. Automated e-commerce management software takes the guesswork, labor, and frustration out of keeping your listings updated—and the same tools that save you time and money on Amazon are proven to increase sales numbers. With our automated platform, for instance, sellers increase their revenue on Amazon by an average of 22% within the first 60 days. Words matter. When describing your products, you need to know—and write for—your target audience. Depending on the product category, that may mean telling a story about the product, offering advice or instructions about its use, or painting a picture of a certain lifestyle. Regardless, keep your descriptions clear and concise, and don’t be afraid to inject some humor or personality. You may want to develop buyer personas to help guide your direction. Amazon is a search engine. In fact, many consumers start researching a product by searching for it on Amazon. Accordingly, sellers should optimize their listings for Amazon’s algorithm, and tweak every element—from descriptions and titles to questions and answers—to correspond to their products’ keywords. For advice about Amazon SEO, check out this guide by BigCommerce. It probably goes without saying that your products need to look appealing. On top of meeting Amazon’s image requirements, make sure to use large, high-definition pictures that show product detail. Products On White Photography has a great guide on the subject. Don’t try to compete in a vacuum. Successful Amazon merchants pay close attention to their competitors and ask not only why a product stands out, but how: How does the seller position themselves and their listings? Look at their copy, images, reviews, and branding, and consider ways you might be able to outperform them on the details. Sellers who use Fulfillment by Amazon (FBA) hand over some or all of their warehousing, picking, packing, shipping, and customer service duties to Amazon. FBA isn’t for everyone, but if your business is well-positioned and eligible for it, the option could provide enormous savings as well as more time to focus on your marketing and pricing strategy. Check out a few pros and cons of FBA. If you do fulfill orders yourself, there’s no need to do it on your own. Order management tools make it easy to ship and send multiple orders quickly and professionally, with minimal room for error or unnecessary expenses. Read more about managing your Amazon inventory. Another potential money-making opportunity is Amazon’s Subscribe & Save program. Through Subscribe & Save, customers sign up to pay for regularly recurring orders at a discount. The program can provide merchants with a steady stream of repeat customers, but only certain product categories are eligible—and sellers lose some control over how they can price their listings. Own a trademark for one or more of the products in your inventory? Amazon wants to help you maintain control over your intellectual property and stand out from the competition. By enrolling in Amazon’s Brand Registry, you get access to the site’s Enhanced Brand Content features (also known as the “A+ tool”) and storefront builder. On Amazon, 82% of sales occur through what’s known as the “Buy Box”—the panel containing a product’s price, shipping details, and the coveted “Add to Cart” button. Sellers compete to capture the Buy Box by gaming Amazon’s algorithm, which takes into consideration variables such as feedback scores, stock numbers, and prices. Given that pricing may be the most critical factor, merchants who can quickly adjust their prices through repricing software tend to win and stay in the Buy Box more often. Aside from price, reviews and ratings from customers are perhaps the deciding factor for businesses that succeed on Amazon. Customer feedback is so important that sellers are increasingly soliciting paid reviews. We don’t recommend that, but we do recommend encouraging customers to leave feedback through any means at your disposal—product inserts, emails, and so forth. Negative feedback can ruin a seller’s day, or even threaten to sink their business. While it may seem like you can’t do anything about a critical review or rating, there are ways to address it, and even turn it into an opportunity to convert an unsatisfied customer into a happy, loyal one. Amazon’s reviews and ratings may move the needle in terms of direct sales, but there are plenty of reasons to value customer feedback beyond its ability to influence the Buy Box. Feedback can expose the silent killers of an e-commerce business; a customer who raises an issue often represents dozens more who had the same problem but didn’t mention it. Plus, any communication with a customer is a chance to build trust and make a sale. Rather than relying solely on Amazon’s reviews and ratings, try collecting feedback on other channels—what you learn may surprise you. Speaking of customer feedback, social media platforms such as Twitter, Facebook, and Instagram are excellent channels for connecting with your audience. They’re also essential tools for promoting your listings and researching your shoppers and competitors. Amazon doesn’t let sellers upload videos to their listings, but that doesn’t mean you should ignore the medium altogether. There are numerous ways to use videos to promote your products and add value to your customers’ experiences. Share a review, show off a product in an unboxing, create a tutorial, take viewers on a tour of your warehouse—virtually any video content can boost awareness of your brand and drive viewers to your listings. Previously limited to Amazon vendors (companies that sell to Amazon), Vendor Powered Coupons are now available to third-party merchants on the marketplace who sell directly to consumers. These coupons increase your visibility by promoting your deals in product listings, search results, and Amazon’s Today’s Deals section. If all else fails, you can always pay Amazon to promote your listings. The company offers powerful targeted advertising tools sellers, but be aware that—once again—you’ll need to meet certain eligibility requirements to use them. Then again, why give more money to Amazon when you can boost your bottom line and take your business to the next level by going multichannel? Learn why sellers who are active on multiple channels increase their sales numbers on and off Amazon. Finally, no matter what you sell or how you sell it, remember that you’re never alone. The e-commerce pros at SellerActive are seasoned Amazon sellers themselves, and our team has far more than 19 tips to offer.